I was born in the home state of Michael McDonald (The Doobies,) Ozark Mountain Daredevils, Shooting Star, and Puddle of Mudd- Yes , I am a Yankee. Born and raised in Missouri, I guess you would say I was raised on Classic Rock. When I am not working it is all about Good Food, Great Music, Cold Beer, and Fantastic Company. 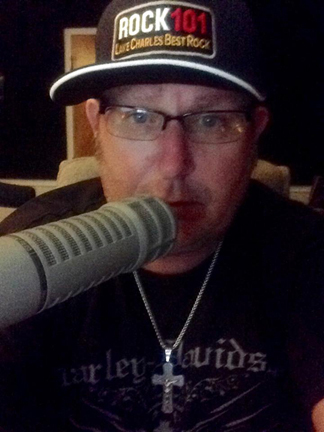 I ABSOLUTELY LOVE Lake Charles & working at 101.3 KKGB. If You ever see me out and about please stop by and say Hello! There is nothing better than meeting our Incredible Listeners(and you will see that I have the perfect Face for Radio.) Join me for Fun Facts, This Day in Rock History, The Word of The Day, and a Laugh or Two! 10am – 4pm Saturdays and Sundays.